Hi, I'm Mike Champion. I'm a developer passionate about build software that helps people. Currently I work at HubSpot on inbound marketing software. Previously I was at oneforty, a startup helping get value from social media. Earlier I worked SnapMyLife, a venture-backed startup that created a mobile photo-sharing community and at IBM Rational building software development tools. On the side I've worked on ForceRank, a tool for making better group decisions, WhoShouldiFollow, a now sold Twitter follower recommendation engine, tourb.us, a now defunct concert notification service and Startup PingPong, an infrequent gathering of startup people playing ping pong. 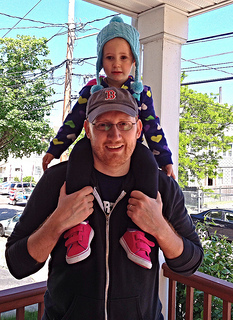 Originally from the Boston area I now live in Newton, MA with my wife, Samantha, and our daughter. I rarely post these days but the full archive of this blog is available for your browsing enjoyment.